Australian owned and family operated, Cirlock specialises in Lockout and Tagout Equipment for energy sources in all industries. 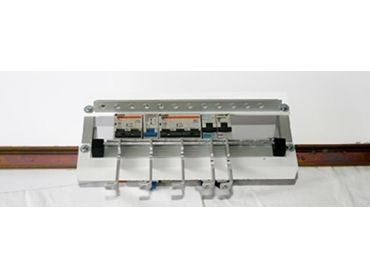 Cirlock's Covers for Circuit Breakers are terminal covers for DIN-Rail mounted 18/45mm circuit breakers or equipment and are also able to support Cirlock System Lockout Devices for Circuit Breakers. Made of white or clear PVC, Cirlock's covers easily clamp onto DIN-Rail by simply using a small screwdriver.